The foundation supports both research and collaborative inquiry and dialogue processes that bring together leading thinkers and practitioners who are involved in one or more of the following: individual, team and organisational transformation, sustainability, evolving human consciousness, future studies and the future of leadership and leadership development. Renewal Associates works with many leading organisations helping them develop their Board, Leadership Teams, organisational strategy, culture and leadership in ways that are integrative and systemic. Click here to see the list of Global Speaking Events. These include international best-selling books, research reports, academic papers, video of talks and interviews, articles and regular blogs. Many of these are downloadable from the web-site - click here. Peter Hawkins, Professor of Leadership at Henley Business School, Visiting Professor University of Bath, and the University of Oxford Brookes, Emeritus Chairman of Bath Consultancy Group, Chairman of Renewal Associates, is a leading consultant, coach, writer and researcher in organisational strategy, leadership, culture change and team and board development and Company chairman. He has worked with many leading organisations all over the world including Europe, Middle East, South Africa, America and the Far East coaching Executive Teams and Boards and facilitating major change and organisational transformation projects. He has coached a number of boards and senior executive teams, enabling them to develop their vision, values, collective leadership and strategy for the future, in a wide range of large and small commercial companies, government departments, professional organisations and charities. 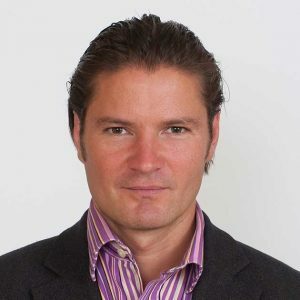 Peter is an international thought leader in Executive Teams and Board Development, President of the Association of Professional Executive Coaching and Supervision (APECS) and a Fellow of the Royal Society of Arts and the Windsor Leadership Trust. He has been a keynote speaker at a number of international conferences on the learning organisation, leadership and executive coaching and teaches and leads master-classes in many parts of the world. He is the author of many best-selling books and papers in the fields of coaching, leadership and change including Leadership Team Coaching in Practice (October 2014), Coaching, Mentoring and Organizational Consultancy: Supervision, Skills and Development (with Nick Smith), McGraw-Hill/Open University Press, (2nd ed, 2013); Creating a Coaching Culture, McGraw Hill, 2012; Leadership Team Coaching, Kogan Page; 2011 (2nd ed 2014); and The Wise Fool’s Guide to Leadership, O Books, 2005. He is currently researching and writing a new book on the future of leadership and the urgent need to transform leadership development. Peter was joint founder, in 1986, of Bath Consultancy Group and its chairman until the company was sold in 2010. He is now its emeritus chairman and he also chairs three other company boards as well as being a trustee director of several charities. He lives on the edge of Bath UK with 37 acres which he shares, with many animals and trees as well as his children and grandchildren and leaders who come on courses and retreats. 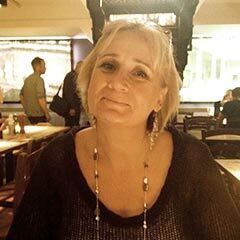 Judy Ryde is a member of staff of the Centre for Supervision and Team Development where she has been running supervision programmes for 15 years including the Working with Difference module. She is a co-founder of the Bath Centre for Psychotherapy and Counselling which started in 1984 and where she was a trainer and supervisor for 25 years. As such she helped to develop their training programmes to national standards both professionally and academically. She is now a trustee and a member of their ethics committee. The relationship between the socio/political and the psychological has always been an interest of hers and she is the co-founder and past chair of Psychotherapists and Counsellors for Social Responsibility (1994). She has written extensively on this subject and her book published in 2009 is entitled "Being White in the Helping Professions: Developing effective Intercultural Working”. She has chapters in several books on this subject including 2 chapters in The Handbook of Transcultural Counselling edited by Colin Lago in 2011. Her interest in this area also led her to start a charity, now called The Trauma Foundation South West which provides free psychotherapy and counselling for refugees and asylum seekers. This started as a BCPC project in 2002. Besides seeing clients herself in this organisation she also provides the supervision for the organisation and has developed the organisational structures which hold and support those who work within it. In addition it has a number of key associates in many different countries. Giles Hutchins blends a wealth of leadership development, coaching, business strategy, operations and transformation experience with pioneering new thought on leading, sustaining and flourishing in volatile times. In particular, he draws on the logic of living systems to aid our leaders and organisations to become ‘future-fit’. A prolific speaker, writer and adviser, he applies 20 years of experience to his work at personal and organizational levels. Recently the Global Sustainability Director for Atos (multinational with over 50,000 employees), and previously a senior consultant with KPMG (running a Practice of 50 consultants focused on IT and business transformation), he has helped transform a wide range of organisations (corporate, third sector, public sector and start-up). 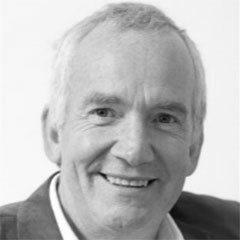 As well as Research Director for Renewal Associates, Giles is co-founder of BCI: Biomimicry for Creative Innovation, Partner of The Bio-Leadership Project and Chairman of The Future Fit Leadership Academy. He contributes to a variety of pioneering institutions, and regularly guest lectures at leading Universities and Business Schools as well as speaking at conferences and expert roundtables. He has been interviewed by the BBC, writes articles for a number of world leading networks, and is author of the books The Nature of Business (2012), The Illusion of Separation (2014) and Future Fit (2016). Julie has over 30 years of experience in financial operations, management and IT solutions. Strong analytical skills, combined with a great attention to detail she is adept at ensuring tasks are dealt with efficiently and in a timely manner. Proactive, creative and a flexible thinking style in terms of administration, course administration, finance and IT gives a significant administration backup contribution to the team. Julie is highly effective in understanding and appreciating diversity and nuance and to flex style her approach accordingly.